The global economy and competitive landscape have changed dramatically in recent decades. In the 1980s, strategy scholar Michael Porter famously proposed that firms can be profitable either by differentiating based on quality and product features, by being the lowest cost competitor, or by going after niche markets. But not least the leading auto manufacturers Toyota and Volkswagen have shown that in mature industries increasingly both high quality standards and cost-efficiency are needed to succeed. Today, most firms cannot survive in a highly competitive global economy without meeting several, often conflicting demands: revenue expectations of shareholders, quality demands of customers, cost pressures from low-cost competitors, increasing labor, social and environmental standards and regulations – all of which have raised the bar for firms to stay competitive and profitable, especially in advanced economies. I argue that such pressures may drive cheating and misconduct – which does not make decision-makers less responsible, but which makes the VW scandal less surprising. Let’s take a closer look. Several articles suggest that the ‘defeat device’ – a software tool – was installed by VW engineers back in 2008 because the EA 189 Diesel engine, which was developed by VW in 2005, could not have complied with pollution regulations and cost objectives without deception. At that time, VW was facing increasingly stringent emissions regulations, and it seemed almost impossible to meet various performance targets with the new engine, such as fuel economy and cost efficiency, without a ‘software trick’. The fact that the software in question had already been used for ‘test purposes’ since 2007 made the next step – of installing it in cars for sale – relatively easy. But was the actual decision to install it driven by the ‘criminal energy’ of VW engineers? Did they perhaps act upon specific incentives or orders given by superiors? All this suggests that the VW scandal is part of a larger issue. With rising quality, cost and regulatory pressures threatening sustained profitability, along with ever shorter product life cycles and expectations to reduce time-to-market, the room for generating margins in legitimate ways has become smaller. Also, as argued by sociologist Colin Crouch**, the profitability imperative is undermining the integrity of firm behavior. According to Crouch, firm decision-makers are more and more willing to drive short-term profitability at the risk of damaging long-term reputation. In addition, however, I would argue that even in the absence of concrete decisions from the top, like in the case of VW, profitability demands along with conflicting expectations may create a culture of anxiety and pragmatism that favors cheating and misconduct – not for individual gain but simply to ‘get things done’. I therefore disagree with Angela Merkel’s optimistic statement that the VW scandal will leave Germany’s reputation for high-quality products untouched. On the contrary, due to global profitability demands and competitive pressures, the behaviors – and misbehaviors – of multinationals like VW will become rather indistinguishable, no matter where they are headquartered. And whether cars are ‘Made in Germany’ or ‘Made in China’ – their likelihood of passing emission tests will not depend on where they originate but how well their makers can deal with global demands and pressures – without getting caught! This entry was posted in Business, Capitalism, Climate Change, Debate, Ethics, Responsibility, Sustainability and tagged automotive, Cheating, Colin Crouch, defeat device, Dieselgate, Emissions, EPA, Ethics, Misconduct, Regulations, Scandal, VW, Winterkorn. Bookmark the permalink. ← Who Cares About Plagiarism? Let’s Make Dissertations More Valuable Instead! 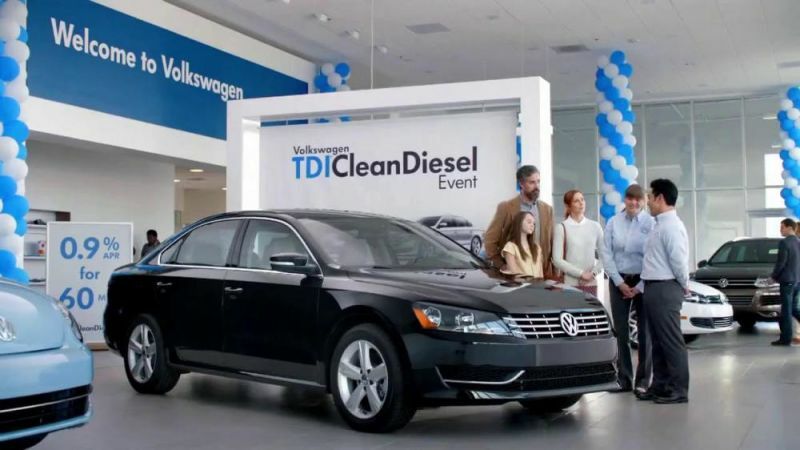 Many of the reasons as to why these companies, like VW, engage in such behavior is due to regulatory pressures from organizations like EPA, to reduce CO2 emissions due to car pollutants. Part of the misconduct that companies engage in is due to intensified pressures by regulations to abide by eco-friendly products and the pressure to meet market demand to drive profits and be in competition with top competitors. Hello there, just become alert to your blog via Google, and found that it’s really informative. I am going to be careful for brussels. I’ll appreciate in case you continue this in future. A lot of other folks can be benefited out of your writing. Cheers! No doubt, there are many standards that auto industries have to meet. Even it is not profitable for the companies to comply with all the regulations they better follow the standards that are set upon them. Because if they refuse to do so they are gonna face consequences. It’s not surprising to me. It really just makes me wonder, how many others have used alternative methods, to “cheat” emissions testing? Is VW just one of many? This fits pretty well with what I had been reading earlier (I don’t need a time machine to go to the 17th century when the 21st provides such excellent examples!) – I see the entire disciplinary effect of the culture of fear and normalization of deviance that Andre Spicer talked about in this article. I think it really does raise a lot of pertinent questions about the sustainability of the system we are functioning in.